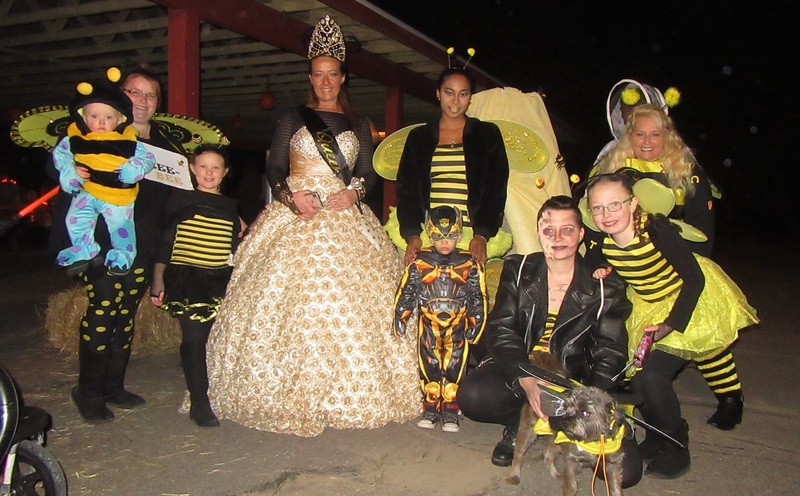 Queen Bee Karen McMicken (top), and her brood bee-dazzled the judges to win first prize in the ‘group’ category. 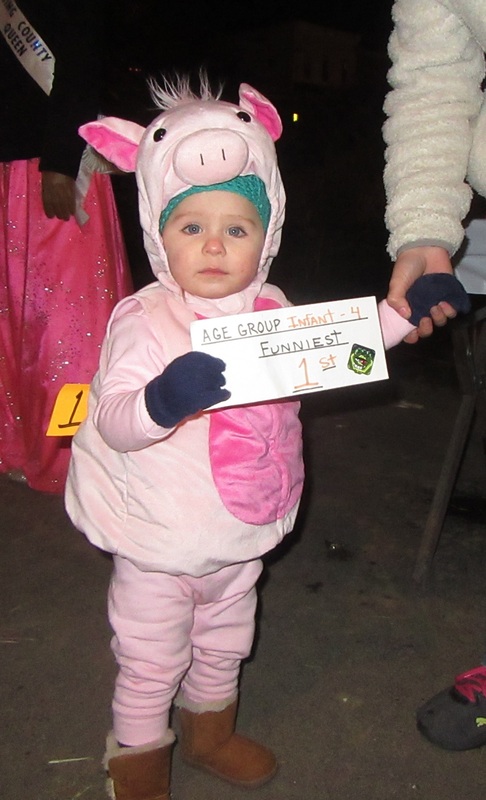 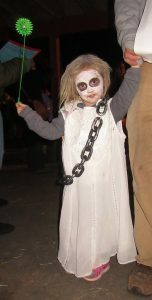 Hazel Ploof (above) was chosen as ‘funniest’ in the infant to 4-year category. 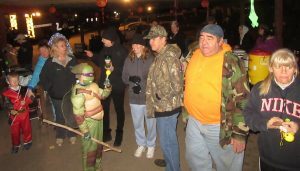 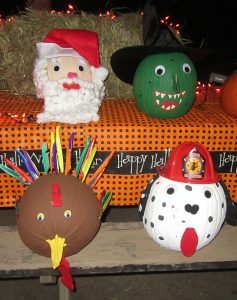 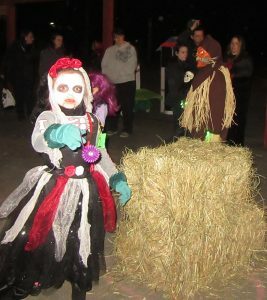 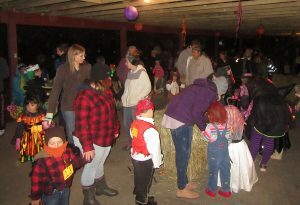 The Meshoppen Holiday Fund and its sponsors once again put smiles on the faces of many youngsters on Friday evening who didn’t seem to mind the cold as they paraded in their creative costumes, proudly displayed pumpkins and scarecrows brought for competition, and enjoyed some free snacks and beverages. 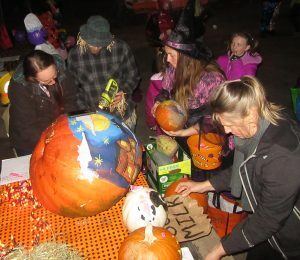 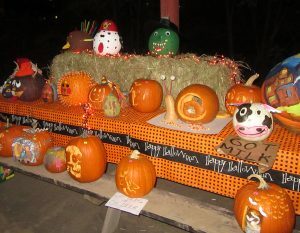 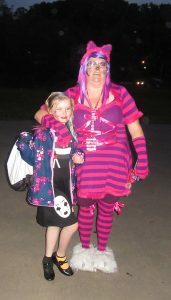 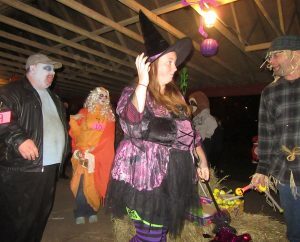 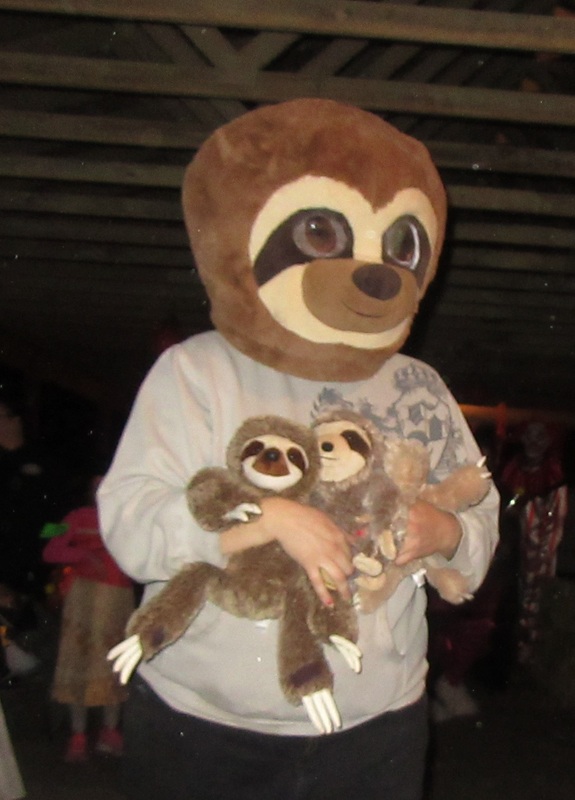 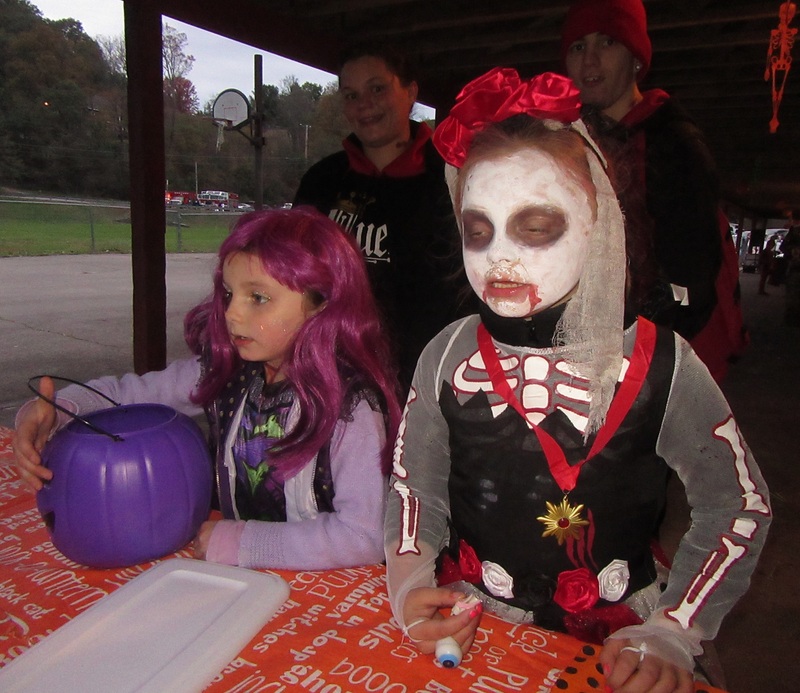 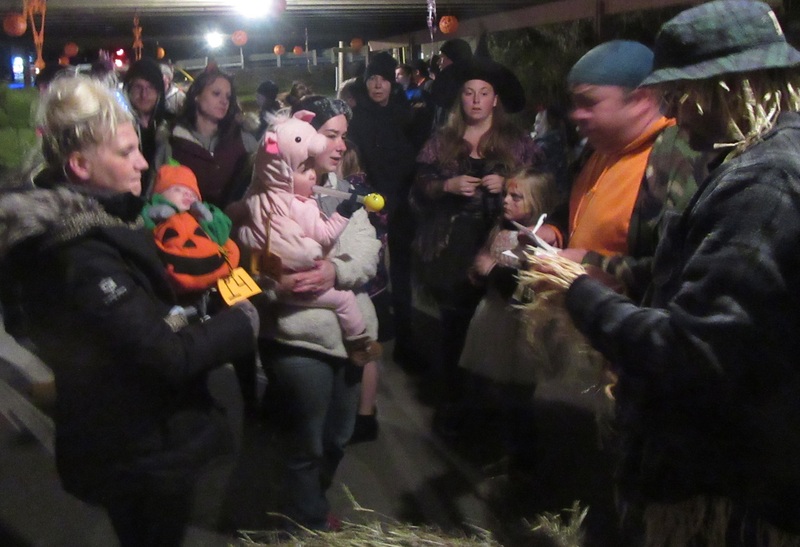 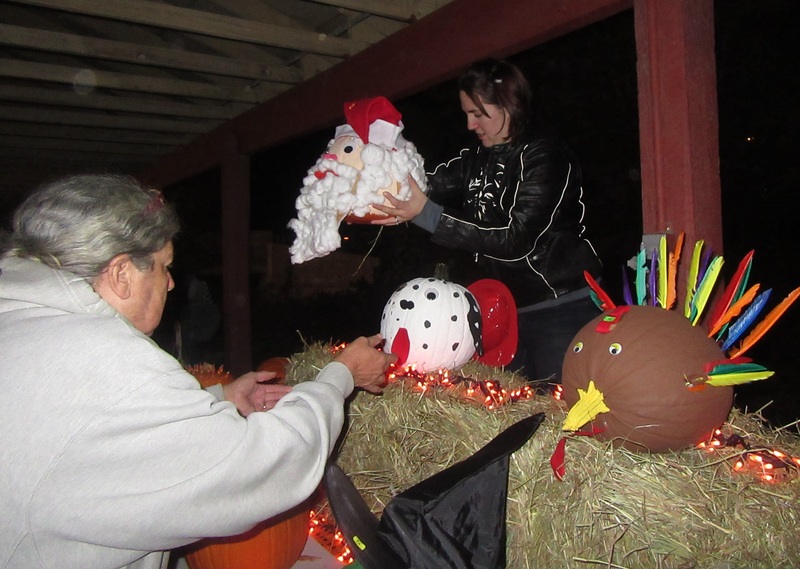 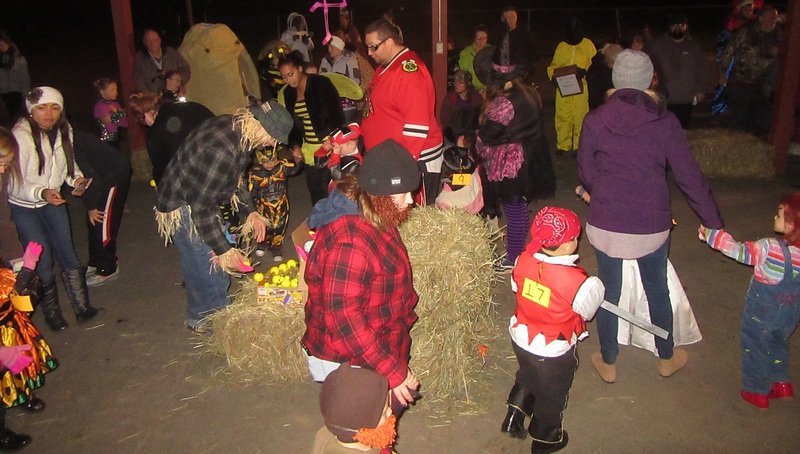 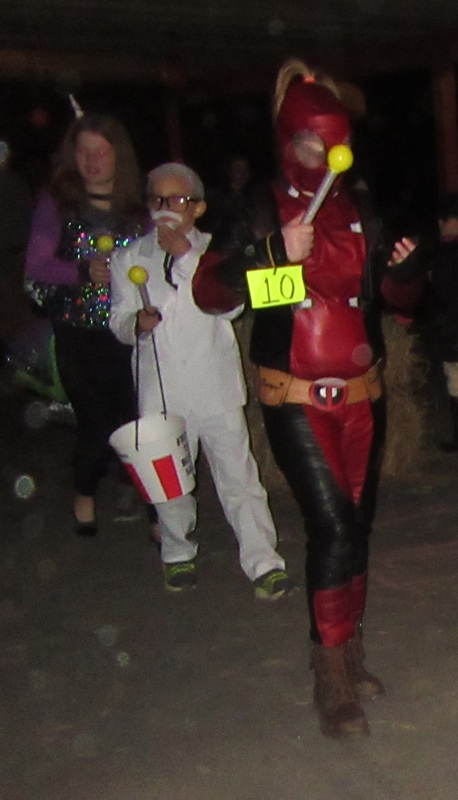 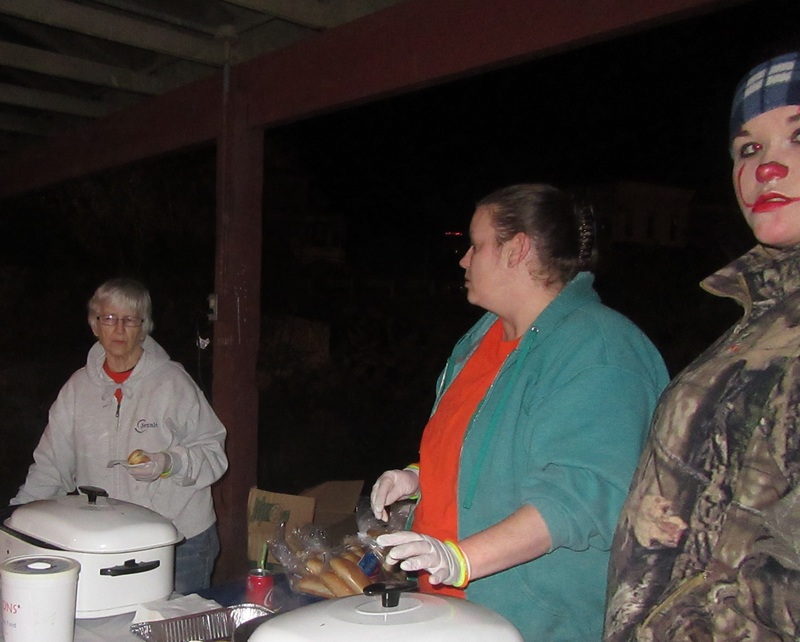 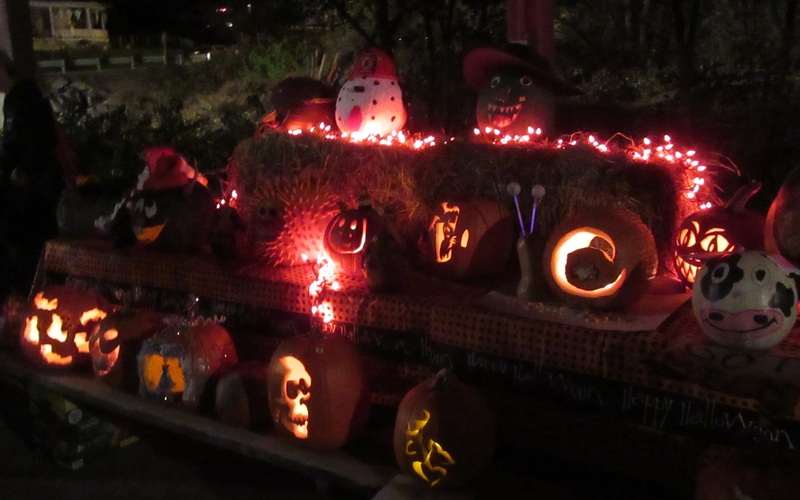 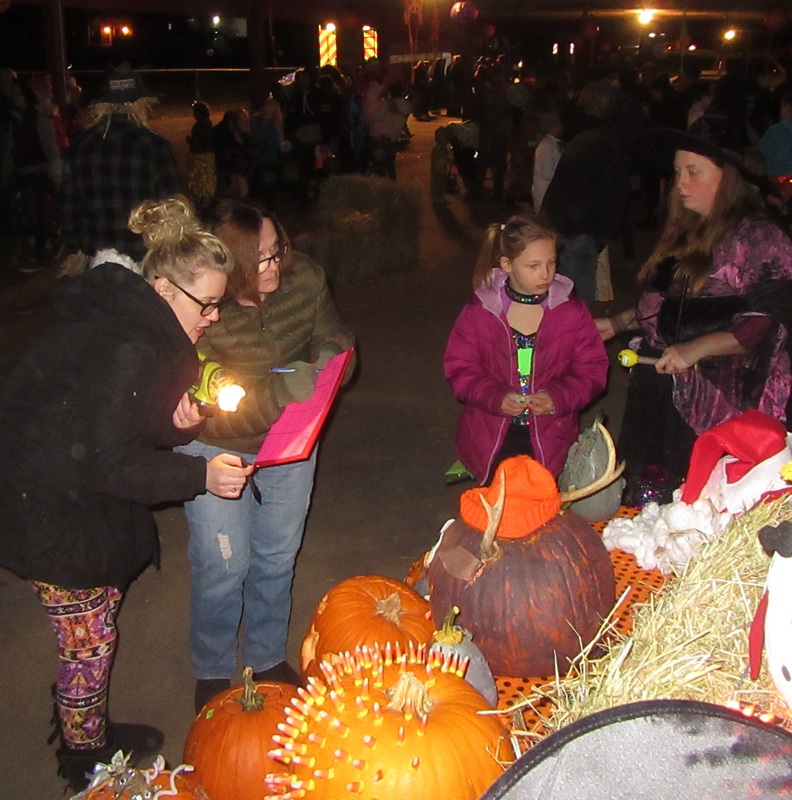 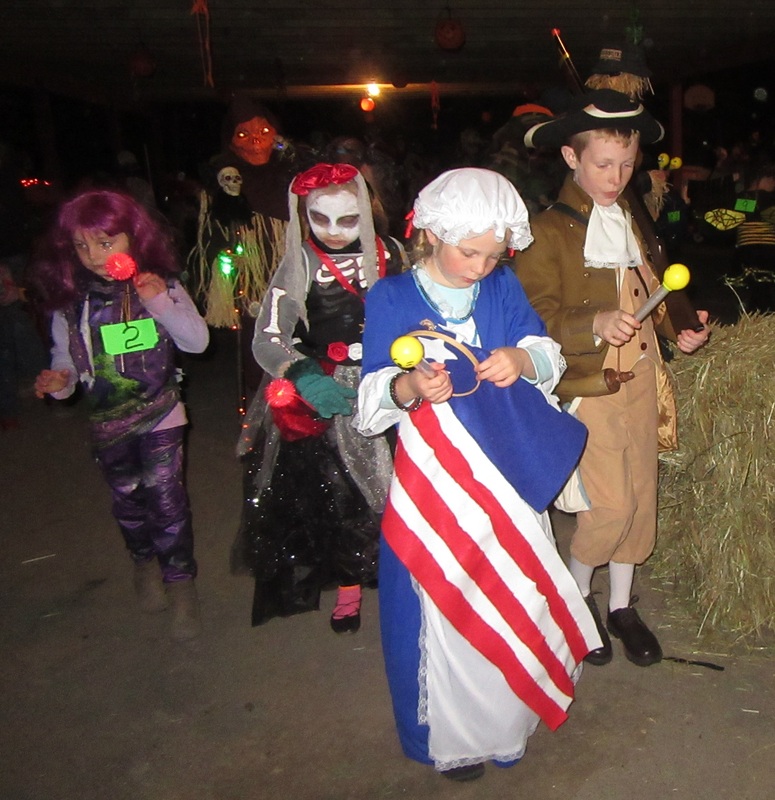 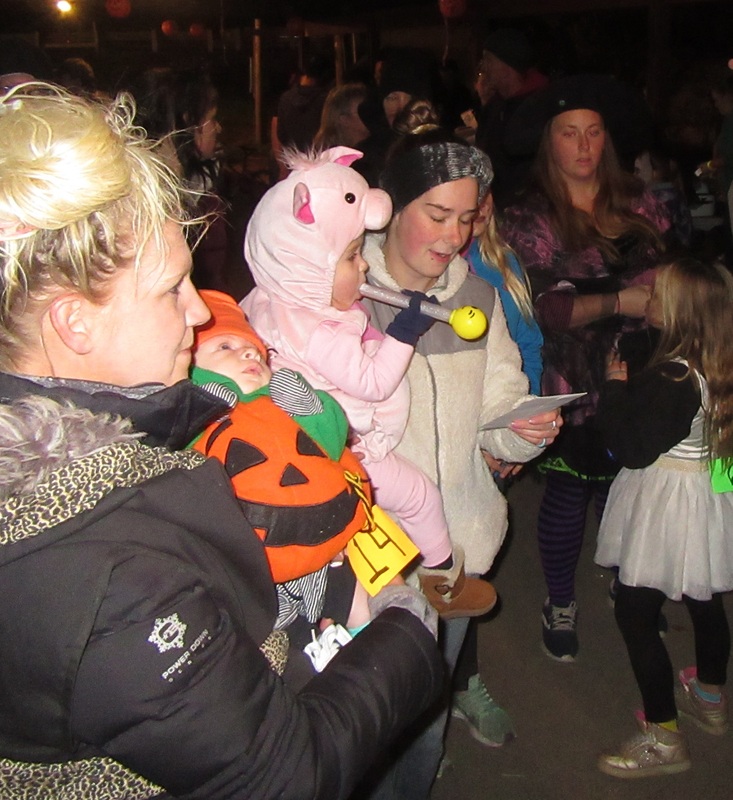 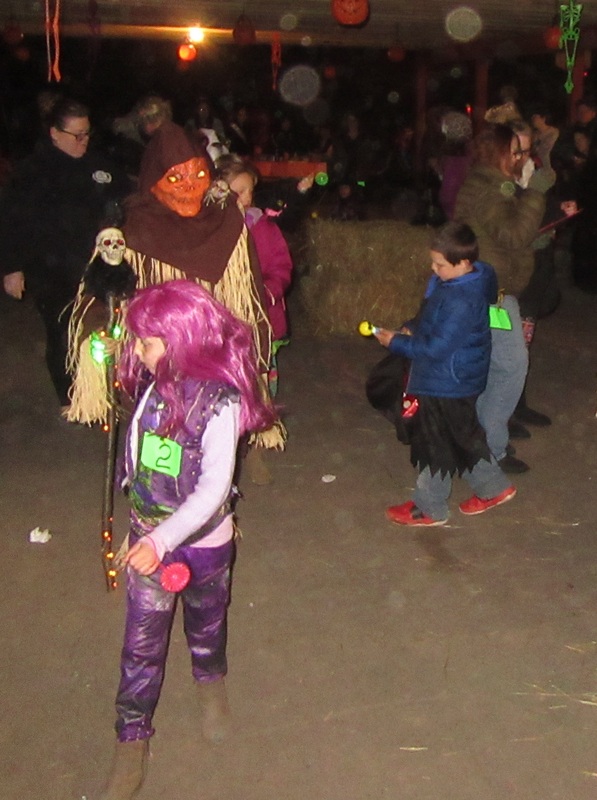 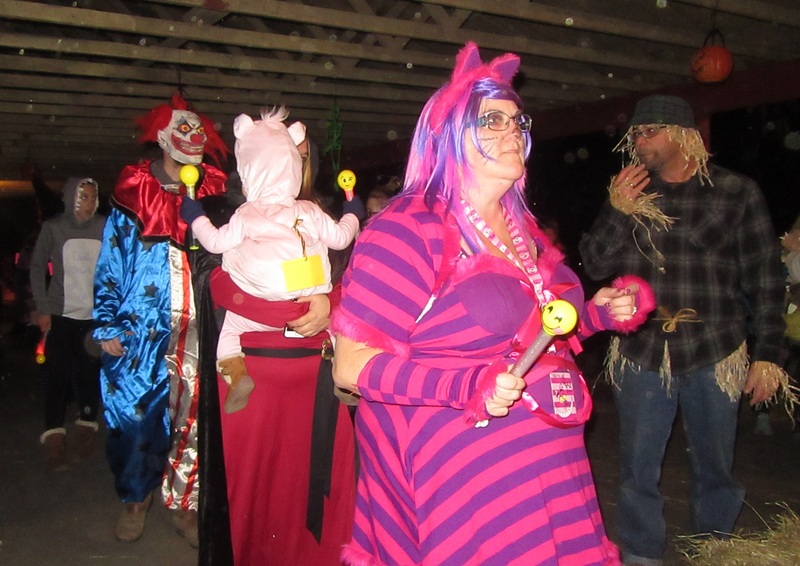 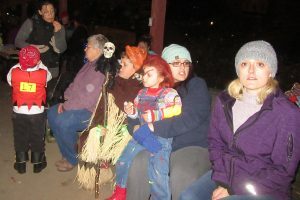 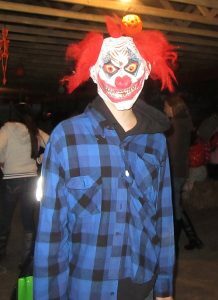 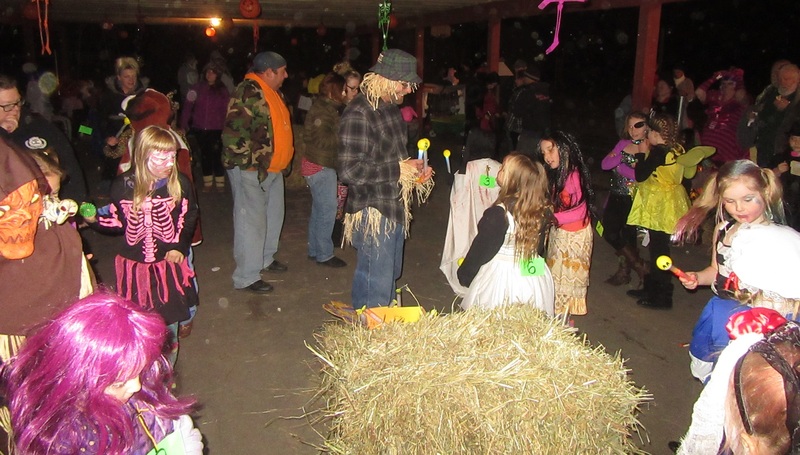 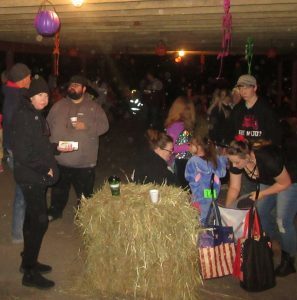 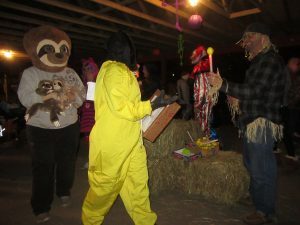 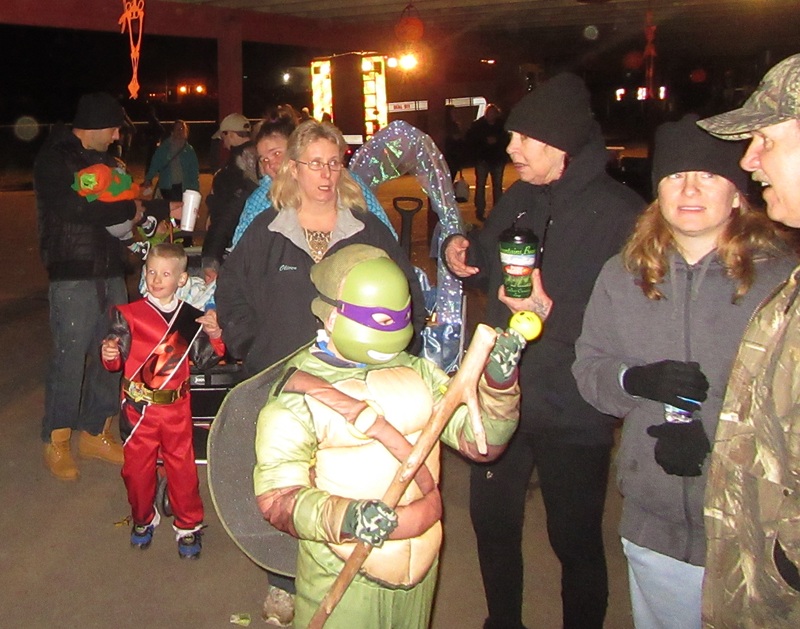 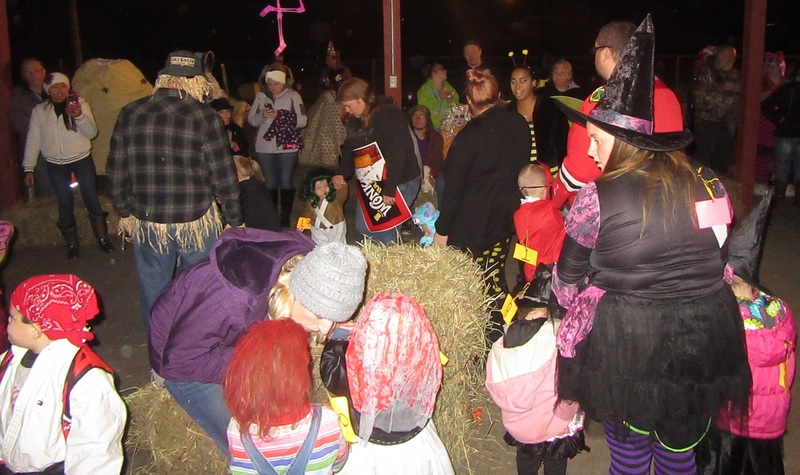 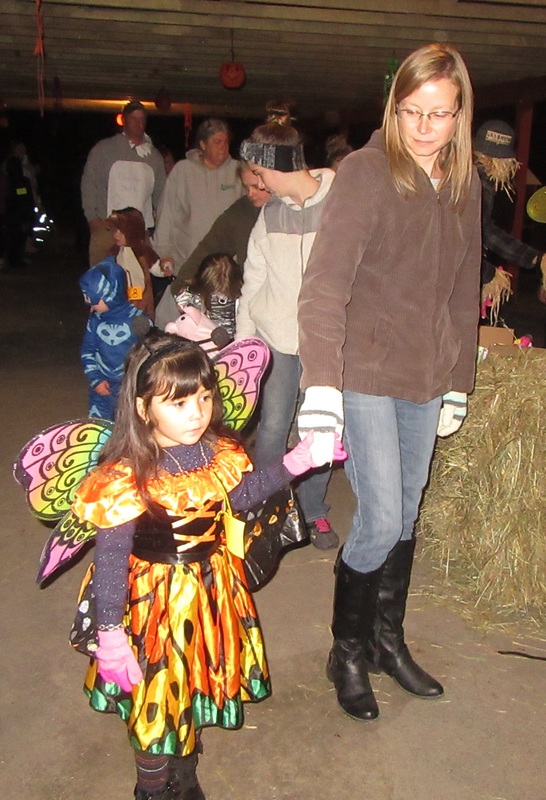 The annual Community Halloween Parade and Party was coordinated by Mayo Beach resident Holly Stark and staffed by a small army of volunteers, most of whom also help Stark with the annual Easter egg hunt. 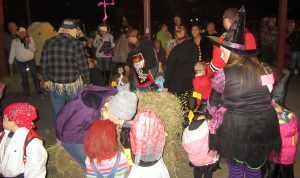 Both events are held in Meshoppen’s Community Park and are supported by local businesses and organizations. 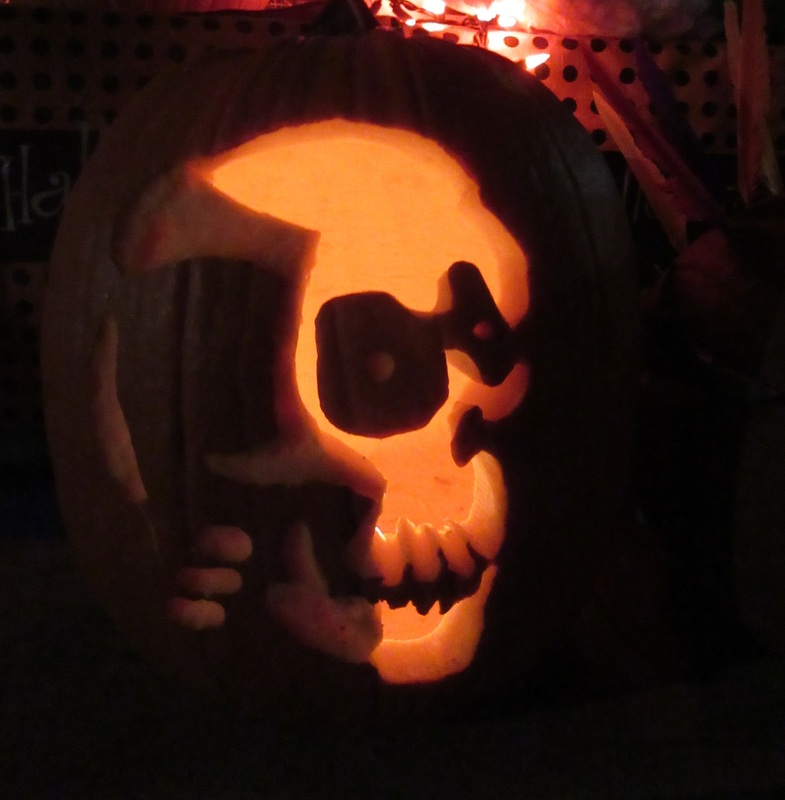 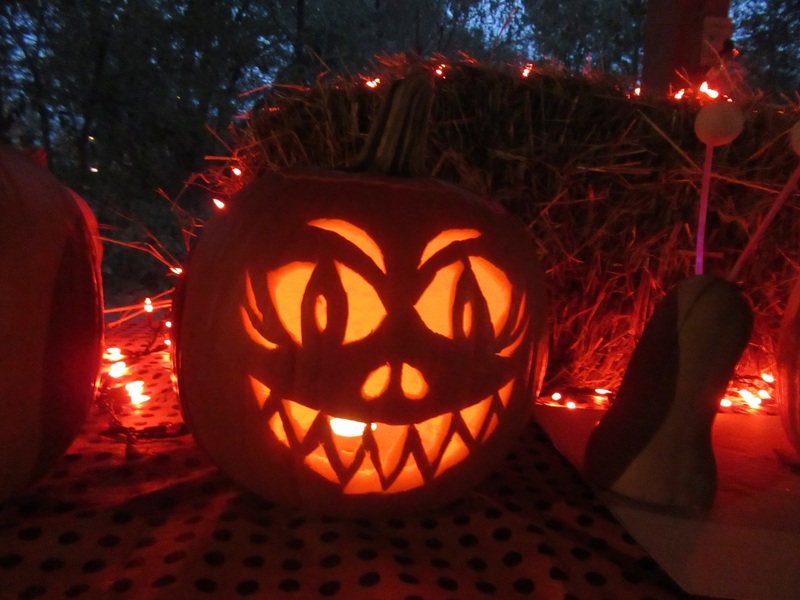 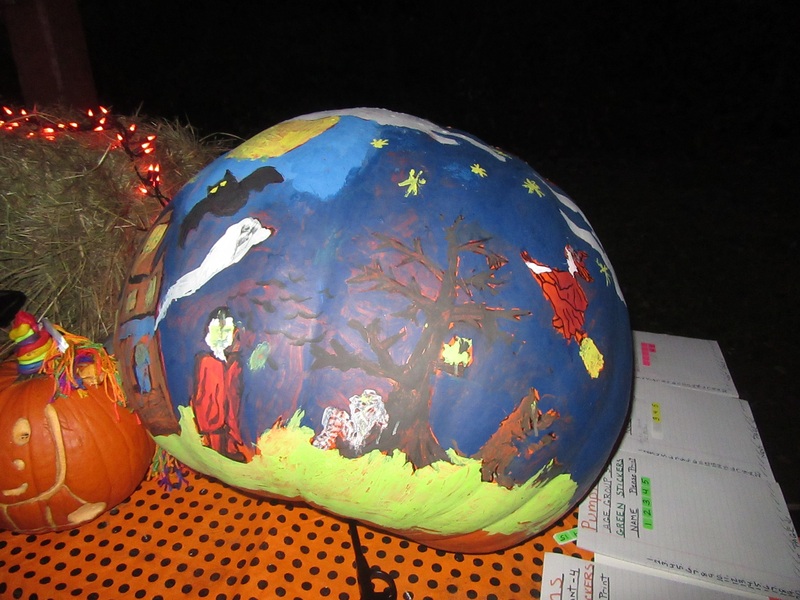 Guests came from miles around and, even though Stark announced the winners of the youngest categories early so parents could take them home if the desired, most stayed for the duration of the Oct. 26 event. Sisters Heavenly and Blessing Ember were the first two to register for Friday evening’s costume parade. 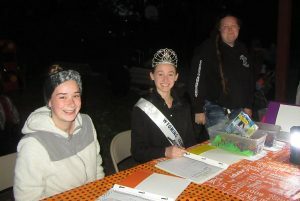 Handling costume registration for the event were (from left) Mercedes Noble, Wyoming County Fair princess Madison Sickler, and Rebecca Swartz. 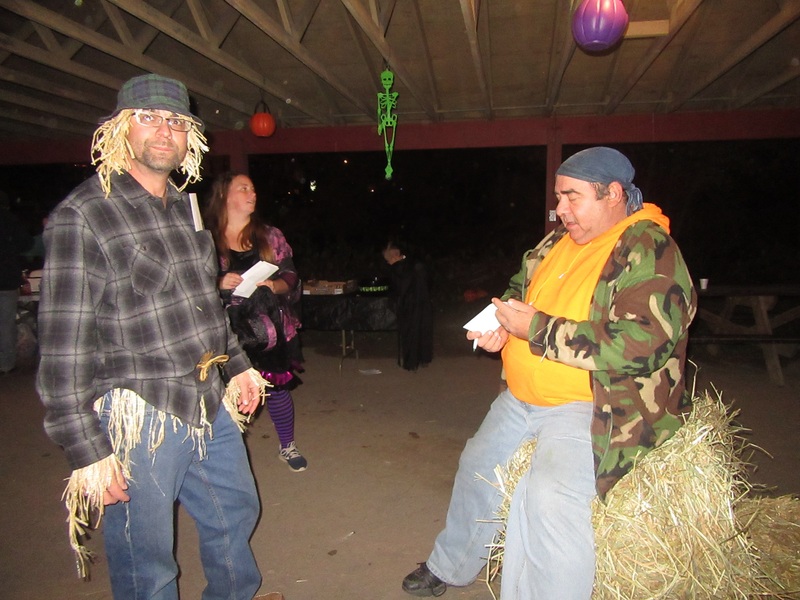 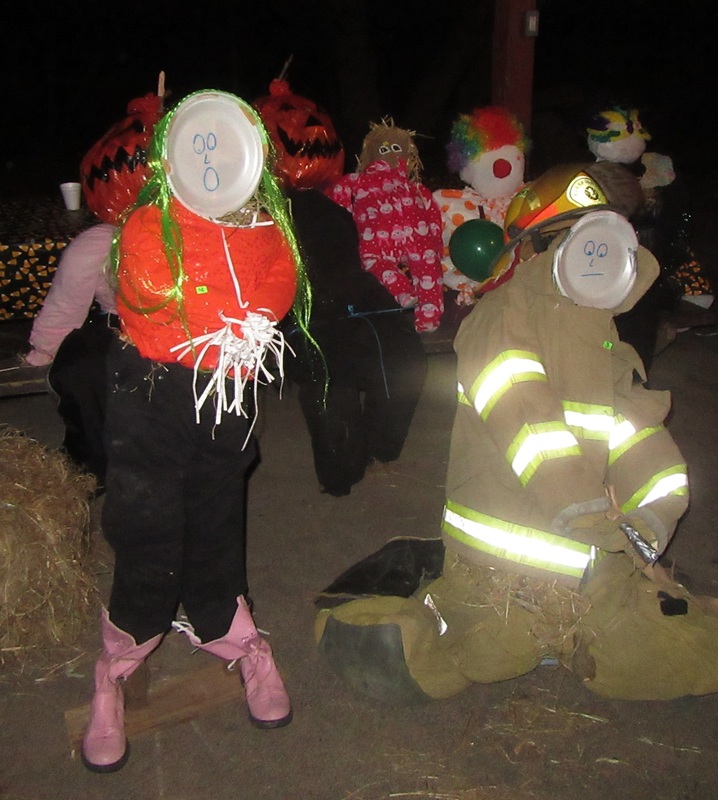 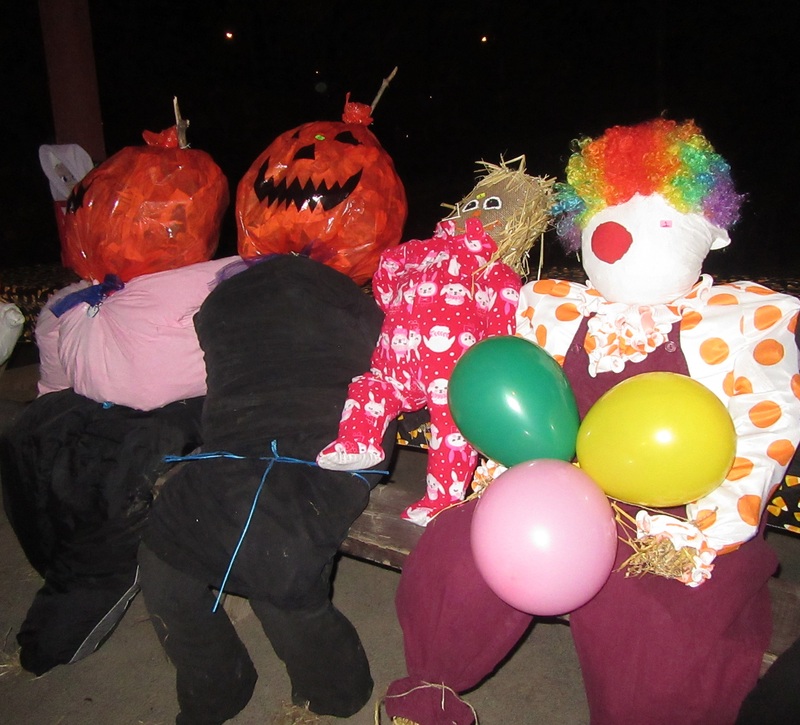 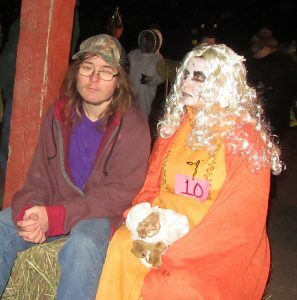 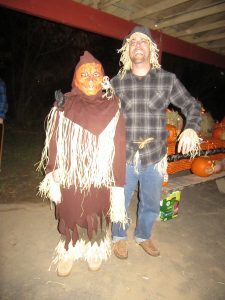 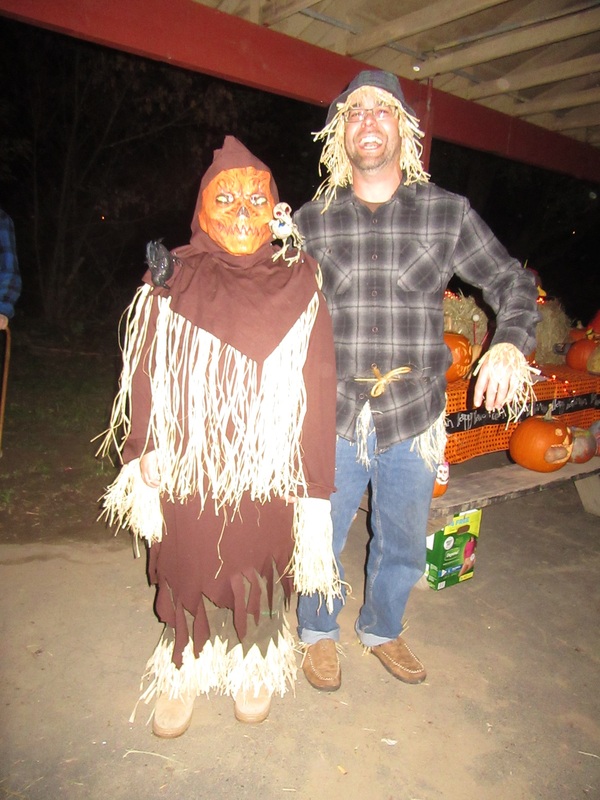 Event volunteer Mike Houser (right) might have been out-scarecrowed by Dennis Pfahl of Tunkhannock. 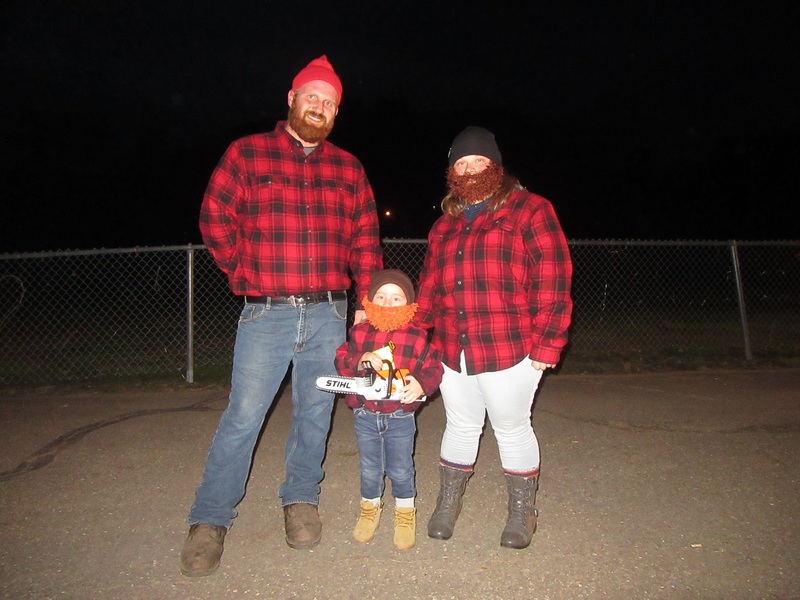 A family of lumberjacks included (from left) Alex, Elliott and Kerstian Campbell. Abigail (left) and Owen Williams of Hop Bottom portrayed a colonial couple and shared a first place prize. 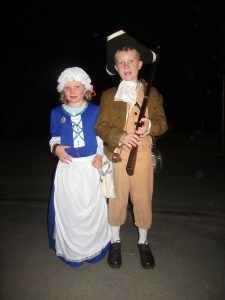 Owen’s costume was made in 1976 for his uncle Roger Williams to celebrate the nation’s bicentennial. 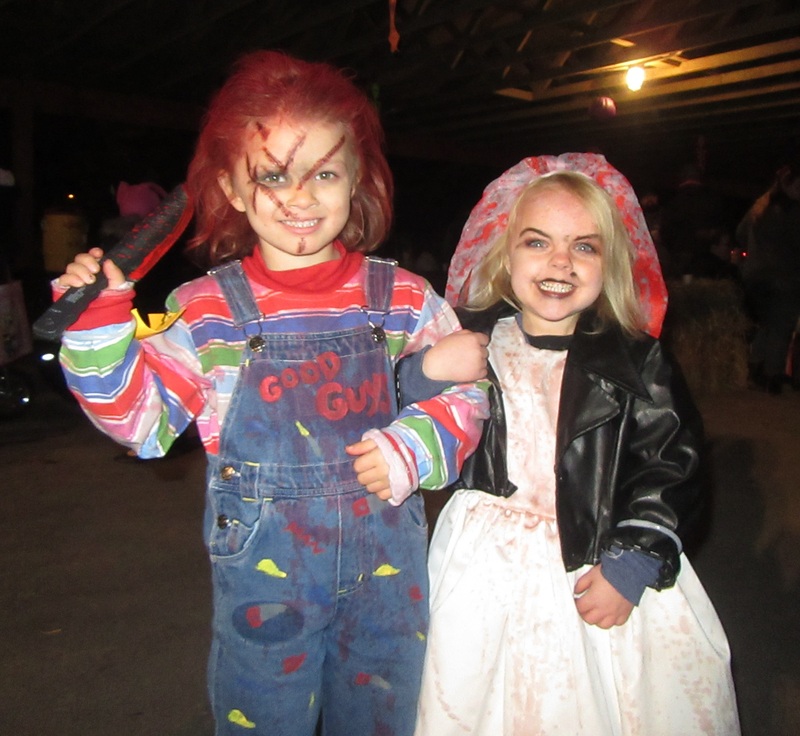 Maevin Jordan and Ameerah Drost were pretty convincing as Chucky and Bride of Chucky. 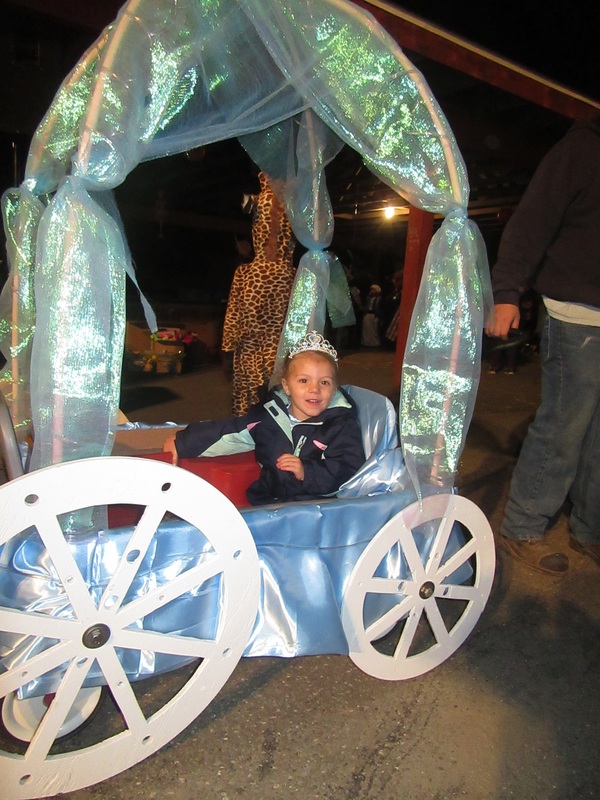 Princess Kolbie Kiefer of Mehoopany was simply enchanting as Cinderella. 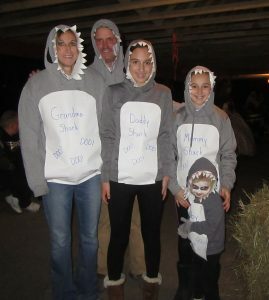 The Shreve’s from Tunkhannock joined the Halloween party as a family of sharks.